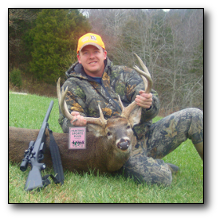 What is Hunting Sports Plus? Since 1989 Hunting Sports Plus has been a very unique hunting club unlike any other club you have ever seen or been a part of. Please do not confuse us with other clubs that try to imitate us because we have been often imitated but never duplicated! We lease exclusive land from private land owners and our exclusive members gain access to all of the land we lease on a reservation basis. This is different from other clubs or lease brokers because instead of leasing one single property for several people to use at the same time, we lease hundreds of properties and our members can use all of them on a reservation basis - ALL YEAR LONG! Our members can make reservations on the telephone or on the internet using our state-of-the-art Online Reservation System. Members can log onto this special Reservation System and browse all of our properties in the state/county they are interested in 24 hours per day 7 days per week. With this reservation system that is updated every day, you can read harvest reports from other members who had been to these hunting properties in the past. This helps our members to determine if certain properties are producing the game they are looking for. 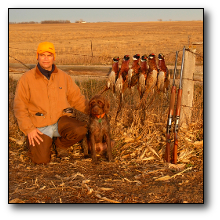 Once a member decides on a property that member can reserve it for a specified number of days for their exclusive use and this will ensure our members won't be hunting on top of each other, thus creating a safe and secure hunting environment for you and your family once you decide to become a part of our club. Since 1989 Hunting Sports Plus has leased top quality hunting ground for exclusive use by members, families and their guests. Not only do we continue to lease top quality hunting land year after year, we dispose of any land that is not producing hunt-able game at our high standards! We keep on hand an average of 100-200 acres per active hunting member. That means if we have 2,000 active hunting members we would not rest until we have 200,000-400,000 acres of top quality hunting ground to accommodate our members and that is a PROMISE! We are sure by now you can see the difference between us and an outfitter or a lease broker. With an outfitter you will pay an extraordinary amount of money for someone to tell you where to sit and for how long. They do all of the scouting and hand holding, and all you're responsible for is pulling the trigger and paying the bill. You pay all of this money for one weekend of sitting on a specified farm for a specified amount of time in a specified tree stand and in our opinion this will take the thrill of the hunt out of the equation. With Hunting Sports Plus you will have access to hundreds of different properties all year long with no limit to the total number of days you want to use our land and you have the opportunity to do all of your the hunting on your own! Why go hunting if you're not willing to do any of the work to track and harvest your game? You pay dues only once a year to gain access to unlimited hunting, fishing, and camping opportunities all over the nation! We do not restrict when you hunt or where you hunt, and we will never force you to hunt with anyone you didn't personally invite. 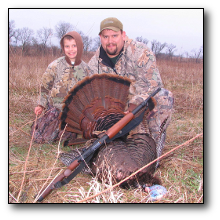 Embrace your inner outdoorsman and enjoy hunting the way God intended it to be with Hunting Sports Plus.